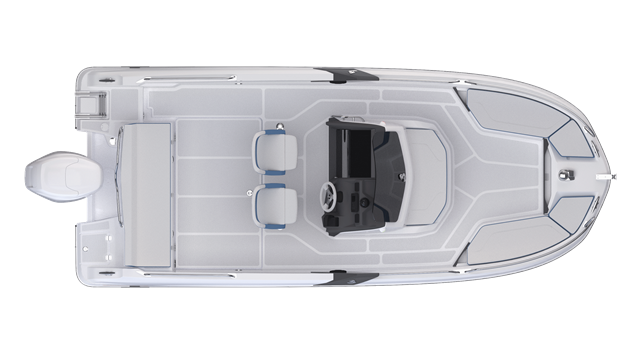 With her incisive looks, the Flyer 6.6 SPACEdeck is oozing with character. The profiled lateral struts and elegantly designed windshield emphasise her sporty appearance. 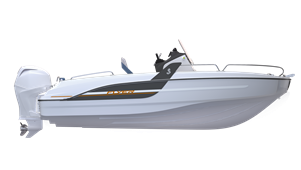 With anincredible amount of beam on deck she features generous spaces for this size of boatand boasts safe circulation on board. With a pronounced V-shaped bow, the almost vertical surfaces of her hull deflect water perfectly. An orange line common to all the Flyer SPACEdeck’s is the signature mark of this model.